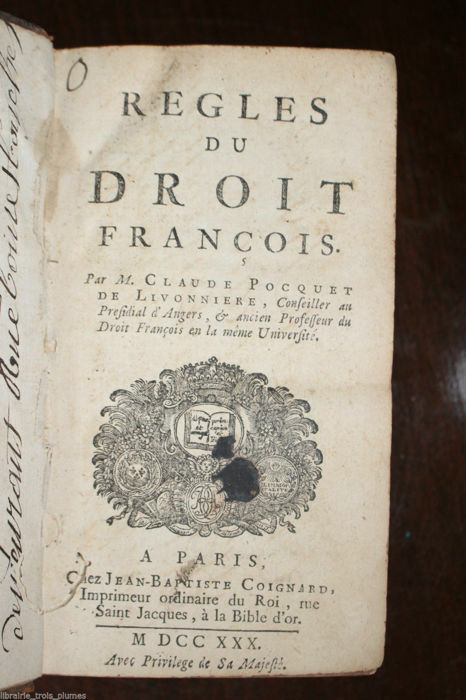 Claude Poquet de Livonnière, Règles du droit françois. Paris, Coignard, 1730. 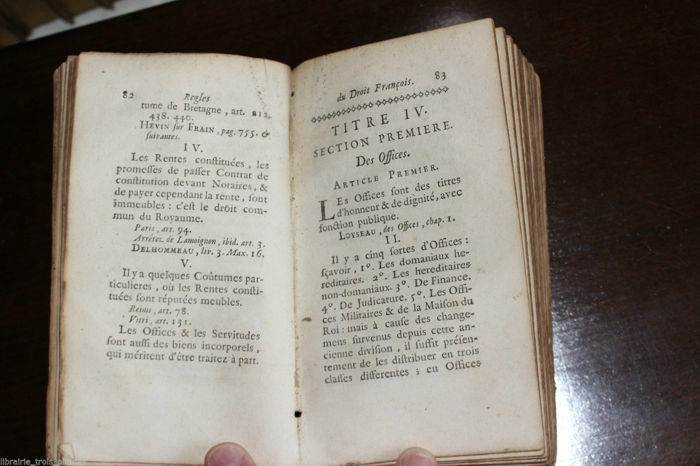 Duodecimo, XII-711-p.
Posthumous first edition of this work of the jurisconsult of Angers who died in 1726. This book had some success because it had at least 7 editions until 1786. 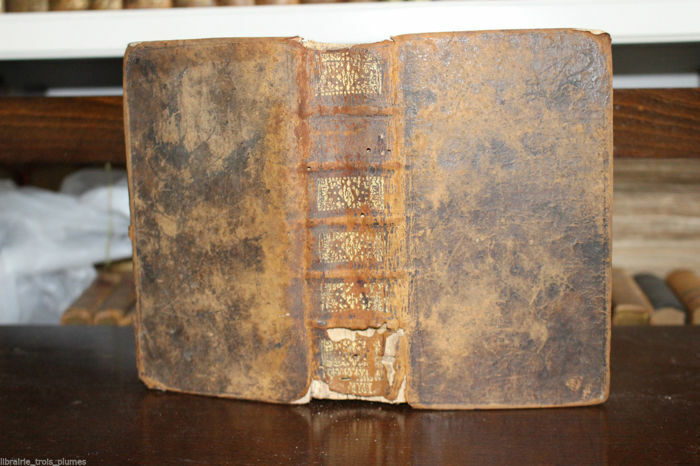 Binding in full sheepskin, spine with raised bands adorned, old but solid binding. Notebooks shifted, wormhole at the beginning of the book reaching just the text, 100 last pages partially wet (the last being almost entirely).